"You have a right to defend yourself. You don't have a right to occupy people, deny them their human rights and then cry foul when they resist. That's not the right to self defense, that's the right to repression. That's what the Israelis are asking for here - 'let's do away with these dissenters, these Palestinians, and call it defense'." Israeli Defense Forces for the murder of their daughter. him, to supportive Jewish-Americans, and to Israelis. way and deserved what she got. Update: The Corrie's appeal was denied. controlled American government thinks of me! I care even less about what Zionist Jews think of anything at all. it in his book, "PALESTINE: Peace Not Apartheid." POTUS to get permission for anything, or for any other reason?). soared in recent years as Palestine refugees havepoured in from other areas occupied by Israel. access to the outside world. social workers are deprived of salaries. three years, and the poverty rate has reached 70 percent. And this reporting by Carter was ten years ago. upon the infrastructure on numerous occasions since. blocs and large areas of other Palestinian land. side of the wall, 175,000 of whom are outside Jerusalem. of Bethlehem, the birthplace of Jesus. 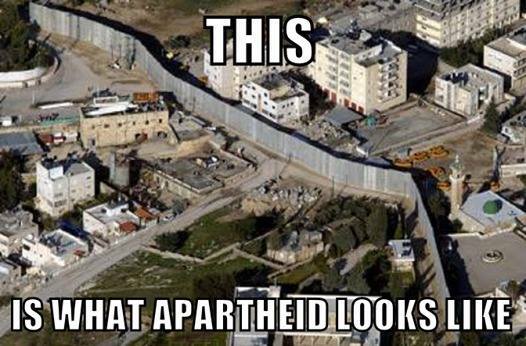 and razor wire – all on Palestinian land. without the rights of Israeli citizens. full well that the retaliation will be overkill. bother coming until Israel is fully established and secure. Jews are quite literally anti-Christ. concern of Christians in Israel escape your understanding. Anglican, Lutheran, Baptist, and other faiths. each of them related events that caused him concern. authority over all religious matters. surprising exodus of Christians from the Holy Land." The anti-Christ isn't an individual, the anti-Christ is Israel...! international community, and their own negotiated agreements. agreement in the Holy Land. conditions in the West Bank and dispute these statements. international leaders permit this unofficial U.S.
circumstances in the occupied territories. Europe are highly critical of Israeli policies. and actually should never have joined in the first place. and all other USA Ambassadors to the U.N.have been willing Zionist puppets. it, therefore UNGA- Resolution 181 was never enacted. acquiring Palestinian land until there is none left. USA back Israel when virtually no one else does? certainly earned the right to have an opinion on apartheid. Jewish New York Times columnist, Thomas L.
which I am prepared to die. Palestinians and Israelis, as an apartheid system. Memo” in the New York Times on March 27th, 2001.
struggling for freedom in South Africa. with Israeli control of borders, land, air, water and sea. into a state of apartheid not only de facto, but also de jure. recognized as private property because it can be confiscated. “Palestinian autonomous areas” are Bantustans. structure of the Israeli apartheid system. place in a “Jewish” state. against a civilian population, in particular children. the Middle East and an end to its apartheid policies. Thomas, I’m not abandoning Mideast diplomacy. about, give me a call..."
But Mandela could have and should have written it. Though the official narrative of the state of Israel claims that it has turned the land it occupies from an empty desert into a lush, agricultural wonder, the actual fate of the land following Israel’s establishment in 1948 tells a very different story. Were it not for Israel, the desert would have remained unproductive and fallow – or so the story goes. There is, however, another side to this story, one that shows that the “blooming desert” of Israel is a convenient disguise for the degradation and destruction of Palestine’s natural resources, a means of obfuscating the worst of occupation by wrapping it in the cloak of Zionist mythology. While a central theme of Zionist mythology has long been the need for the Jewish Diaspora community to re-establish itself by returning to agricultural labor, the truth of Israel’s agricultural “success” involves the unsustainable use of occupied resources and the deliberate destruction of the land and water still used by Palestinians today. Though the official narrative of the state of Israel claims that it has turned the land it occupies from an empty desert into a lush, agricultural wonder, the actual fate of the land following Israel’s establishment in 1948 tells a very different story. Indeed, prior to 1948, the historical record demonstrates that Palestinian farms were very productive and that both Palestinian Arabs and Jewish settlers were successful farmers. For example, a UN report on agriculture in Palestine between 1945 and 1946 recorded that Palestinian-grown crops accounted for nearly 80 percent of Palestine’s total agricultural yield that season, with Palestinian farms producing over 244,000 tons of vegetables, 73,000 tons of fruit, 78,000 tons of olives, and 5 million liters of wine. Two years later, when the majority of Palestinians were forced from their land during the “Nakba” that founded the state of Israel, the farms and orchards that had previously been tended by Palestinians were left abandoned, as their owners fled under the threat of death at the hands of Zionist militias. Thus, it was land theft that was largely responsible for Israel’s initial agricultural production, not the labor or agricultural expertise of Zionist settlers. In addition, the claim that Israel turned an undeveloped desert into an agricultural wonder seems to be – in part – projection on the part of the Israeli state. Indeed, as Benvenisti noted, following the removal of Palestinians, the vast majority of centuries-old fruit orchards that had long been maintained by the native inhabitants of the land were untended, neglected and, in some cases, bulldozed to make room for ever-expanding settlements. Another project central to the “desert bloom” mythology is Israel’s “afforestation” of the desert, which has helped “turn the desert green” through the planting of non-native pine trees. These forests, largely planted by the Jewish National Fund (JNF), have been touted as a “miracle.” Yet, the pine stands, much like Israel’s treatment of Palestine’s agricultural legacy, have been motivated by a need to cover up the events that led to the creation of the Israeli state. Indeed, more than two-thirds of all JNF forests and sites lie on top of the ruins of Palestinian villages demolished during and after the founding of Israel, and the group’s continuing afforestation efforts are aimed at acquiring land in the occupied West Bank to prevent “trespassing” and “conceal” Palestinian villages in order to prevent the return of Palestinian refugees. They also become fodder for forest fires that have caused major damage and mass evacuations throughout Israel over the years. Another ecological consequence of JNF forests is their likely effect on Israel’s horrendous drought, considered to be the worst the region has faced in over 900 years. As studies have shown in other countries where non-native pine plantations have been introduced in vast numbers, pines consume a significant amount of water – leading to droughts and even the disappearance of entire rivers – as well as fundamentally alter and degrade the soil. While these forests have been presented as an ecological miracle, they are instead destroying the environment and degrading the land’s resources, suggesting that the main driver behind the long-standing project is aimed at covering up the ruins of Palestine. Today, the stark difference in agricultural development in the land tended by Israelis and Palestinians derives from policies that often receive little coverage in the media and are largely absent from the “desert bloom” narrative. Indeed, much of the coverage the issue has received paints Palestinian agricultural successes as either the work of foreigners offering aid or resulting from the “theft” of Israeli-settlement agricultural infrastructure. Such reports fail to acknowledge the realities of the issue, such as the illegal blockade of Gaza that has crippled its economy and agricultural sector, as well as Israel’s destruction of agricultural infrastructure in Gaza and the West Bank. Gazan agricultural infrastructure was ravaged by Israel in times of war and, in the West Bank, Israeli soldiers regularly demolish rain cisterns, pipelines and irrigation systems installed by Palestinians, citing as a reason that such structures lacked the “proper authorization” from Israel. Farmers themselves, mainly in Gaza, are often targeted directly by Israeli soldiers if they come too close to the border fence. The Israeli government has also targeted Palestinian agriculture through chemical warfare. The use of white phosphorus as a weapon against Gaza, for example, has had major consequences for the area’s farmers. In addition to the chemical weapon’s often deadly effects on the human body, it has destructive effects on the environment and plants, as its incendiary nature often leads to the spontaneous ignition and burning of trees, forests and farmland. It also lingers in the environment for several years. Beyond the use of chemical weapons, Israel has also directly targeted Gazan farmland with herbicide. In 2015, the Israel Defense Forces (IDF) admitted to using herbicides and germination inhibitors to kill off vegetation along the Palestinian side of the border, damaging over 420 acres of land. A year later, tactic was repeated, this time destroying around 400 acres of farmland. The IDF has stated that it sprays the chemicals over the vaguely defined “no-go zone” it has established along the border “in order to enable optimal and continuous security operations.” However, the area accounts for a third of Gaza’s arable land and 17 percent of the entire territory. The targeting of Palestinian agriculture in the present and its treatment by the Israeli and American press suggest another and nefarious way in which Israel’s “desert bloom” mythology has manifested. In order for Israel’s agricultural “superiority” to remain unchallenged, Palestinian agriculture must also be suppressed. Were Palestinian agriculture able to develop unimpeded and flourish, it would call into question the idea that the land was barren before the Zionists, threatening the latter’s legitimacy. The myth of Israel “making the desert bloom” has its basis in neo-colonial narratives that have long been used in other settler states such as Canada, New Zealand, the United States and Australia. In the cases of the latter countries, the native inhabitants and their culture have also inaccurately been depicted as “primitive” and incompetent, a narrative that suggests that the land would have remained “wild” and undeveloped were it not for the “fortunate” appearance of European settlers. Such narratives cast the settlers as both superior and normal while the natives become inferior and abnormal, thus obfuscating the settler’s status as foreigner and conqueror. Zionist mythology reinforces similar themes. For example, as in the United States Native Americans were considered as uncivilized and wild as the natural environment, Zionist mythology reinforces the idea that all Arabs are “sons of the desert” while the desert similarly represents a barbaric obstacle to “progress” and development. Yet, no matter how much evidence exists to the contrary, Israel will never tell the real story behind the “miracle” of making “the desert bloom.” It will never tell the real story precisely because it can’t – to do so would mean demolishing the neo-colonial narrative at the center of the settler state, a narrative that is the pillar of its legitimacy. Indeed, if Israel has not actually improved the land by making “the desert bloom” but instead degraded the land, the legitimacy of the state of Israel itself becomes questionable, as it suggests that its native inhabitants – the Palestinians – were better caretakers of the land than the current occupiers. For this reason, Israel must continue to propagate the myth regardless of the facts, and continue to deny Palestine’s rich cultural history and agricultural legacy. With Israel now facing the consequences of its mistreatment of the land and its resources, the historical revisionism once used to sell the disparity between Israeli and Palestinian agricultural prowess has become ineffective. For that reason, Israel must now use other tactics — chemical warfare through toxic agrochemicals, the physical destruction of Palestinian agricultural infrastructure, and illegal blockades – in order to keep the artificial narrative alive, creating the illusion of primitivism and scarcity where none exists.